Our volunteers are awesome! They have a passion for animals and helping out. 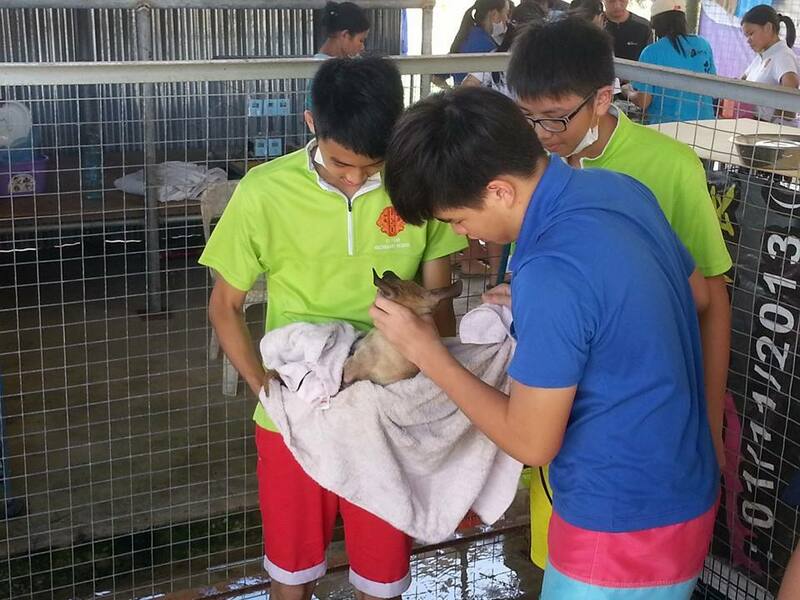 There are many ways you can help and be an advocate for animal welfare in Sandakan. You can bring your friends along to help out. 1. VOLUNTEER AT OUR ANIMAL SHELTER. 2. 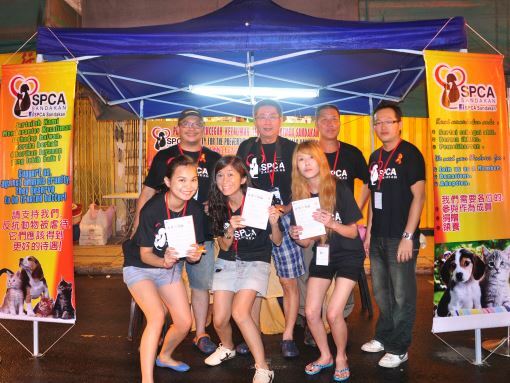 VOLUNTEER AT OUR EVENTS. There are a few things you should know before you volunteer. Volunteers below the age of 18 years old must be accompanied by a parent, teacher or guardian. Volunteers are urged to dress appropriately, and bring a spare change of clothes. Cotton t-shirts and shorts or long pants are recommended, as well as shoes. Bring your own gloves, face masks or aprons for health and safety reasons. Keep your valuables such as your wallet and handphone on you at all times. A waist-pouch is useful for this type of work. Wash your hands before and after handling animals. If you are unsure how to approach an animal, ask our staff for help.